Quality over quantity…we've all heard it, but it's not always easy to abide by, and at this time of year it's near impossible. Easter after Easter we find ourselves gorging on brightly foil-wrapped bunnies and eggs, and then nursing a sugar hangover complete with belly ache for weeks. We're not saying that indulgence is wrong, in fact just the opposite. We're just suggesting that if the diet is going in the trash, why not try something a bit special? Don't waste your calories on sub-par chocolate! With that in mind we've checked in with all our favourite haunts and pulled together a list of gourmet Easter-inspired goodies. We've also tracked down some diary-free, paleo, gluten-free and sugarless options, for the intolerant among us. Enjoy! 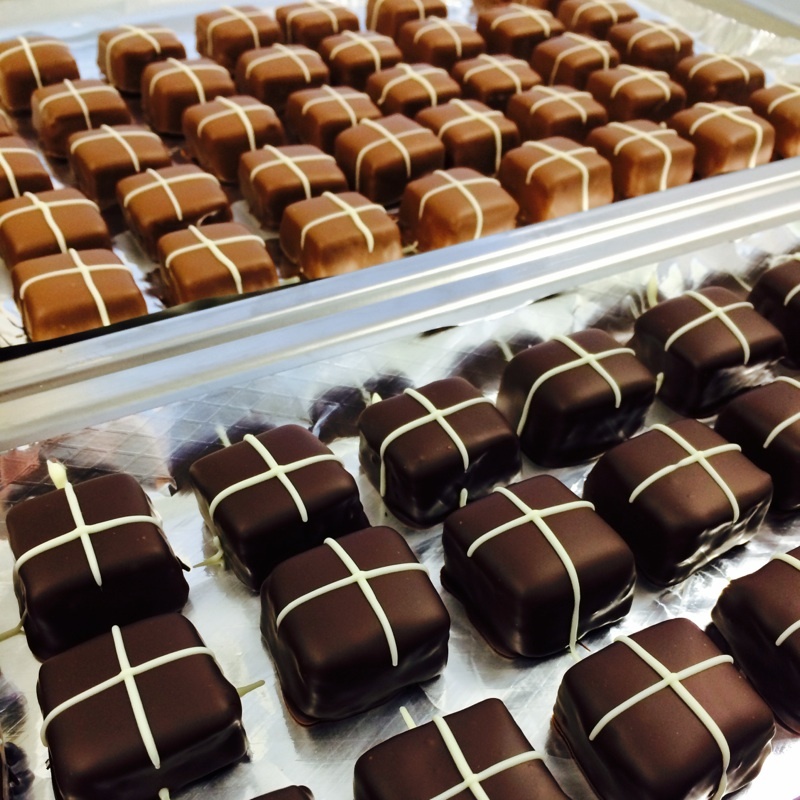 Couverture & Co is selling choc-cross bun truffles, a milk chocolate ganache with raisins, cinnamon and spices dipped in either milk or dark chocolate and finished with a white chocolate cross. Gelataria Cremona offers all of the traditional heady spices and citrus notes you'd expect in a hot cross bun gelato. Jocelyn's Provisions bring back their Mazet's Gull's Eggs, speckled candy egg shells filled with soft hazelnut ganache, once a year so get your order in early. Easter cross macarons, from Monsieur Macaron, offer all the flavour of a traditional bun but without the stodge and an extra touch of sophistication. Tognini's are selling Kennedy & Wilson dark, milk or white chocolate Easter chickens and fish as well as Gut Springenheide chocolate praline polka dot eggs. And Happy Little Dumplings at The Barracks are taking the Easter franken-food concept to a whole new delish' level with their choc-filled steam buns. Glutenfree Bakery has both traditional and chocolate hot cross buns made with no wheat, gluten, dairy or nuts. 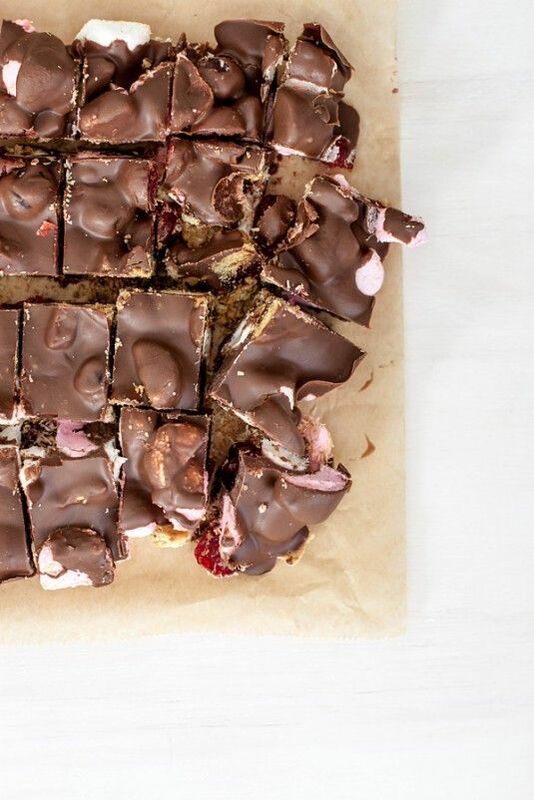 If all that sugar still falls short of satisfying your sweet tooth, check out our super-easy and delicious gourmet rocky road recipe that's perfect for sharing. Mix all ingredients together until well incorporated. Pour out onto a sheet of baking paper and leave to cool. Cut or break into pieces, then keep refrigerated until ready to eat.